Changing the scale of the axis is useful when, for example, the chart values are large numbers that you want to appear shorter and more readable. This example showcases how to make the chart panning while dragging the axes with the finger for both Y and X axes. 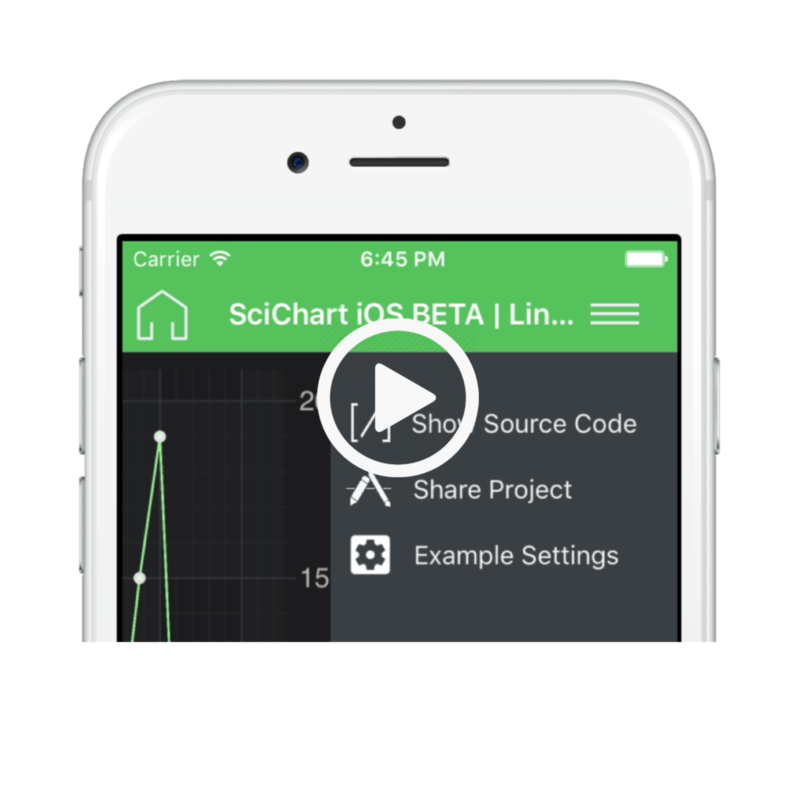 You can make Axis to Scale on SciChart iOS Charts by adding add Axis-Drag scaling to a SciChartSurface using theSCIXAxisDragModifier and SCIYAxisDragModifier. ChartModifiers can be added to the SCIChartSurface by adding them to the sciChartSurface.chartModifiers collection. Finally, drag modifiers can be used in Absolute mode (when YAxis.getAutoRange()=false) as well as Relative mode (when YAxis.getAutoRange()=true). You can control how the series behaves as you pan to the edge of the data with the SCIXAxisDragModifier setClipModeX() method. 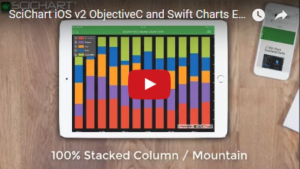 The Swift 4 and Objective-C source code for the iOS Chart Drag Axis to Scale example is included below (Scroll down! ).